Tuesday September 11, 2018 - Three lawmakers from Western Kenya have alleged that contraband sugar is being secretly repackaged in Mumias Sugar bags and sold to Kenyans. Addressing a Press Conference on Tuesday, the lawmakers led by nominated MP, Godfrey Otsosi, Caleb Amisi (Saboti) and Busia Woman Representative, Florence Mutua, said sugar barons have hatched a scheme to cripple further the largest sugar miller in the country. 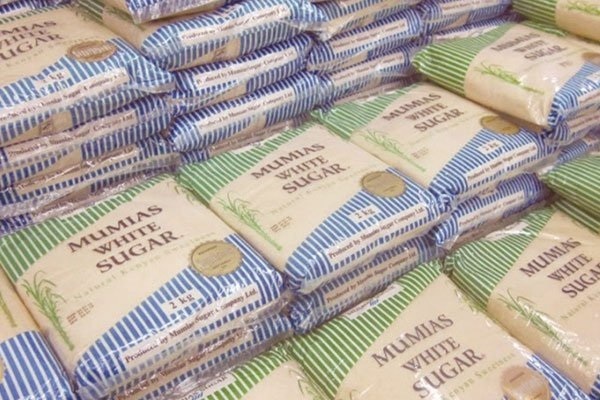 According to the lawmakers, the excess sugar imported into the country last year is cleverly repackaged in Mumias Sugar bags and stocked in the retail shops in various towns in the country. The sugar has no expiry date meaning that it can be poisonous sugar and is deadly if consumed. Over the past six months, Mumias Sugar Company has not produced any sugar. “Supermarkets I talked to said they received large quantities of Mumias Sugar which were quickly bought off the shelves by Kenyans," said Osotsi. Osostsi noted that he contacted management of MSC Company who confirmed the company has no sugar in the market.